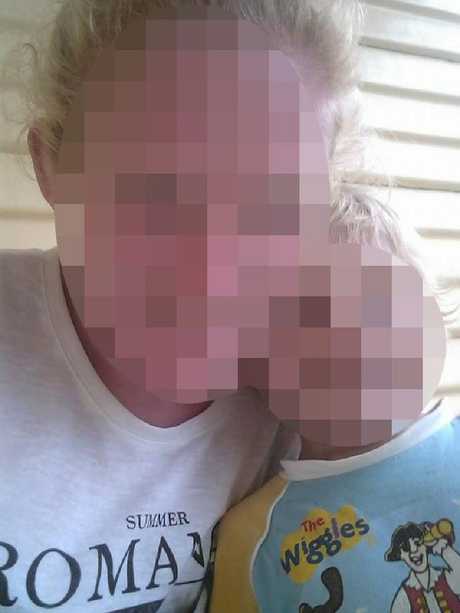 His mother, a 28-year-old Deniliquin woman who can't be named for legal reasons, is on trial for the murder of her youngest child and the attempted murder of her eldest. Once the boys were in the water, their mother instructed the eldest boy to "put your head under", he said. "I just said 'no' … and then she dunked my head under the water. (I was) scared. "My whole body (was under the water). My face was down." 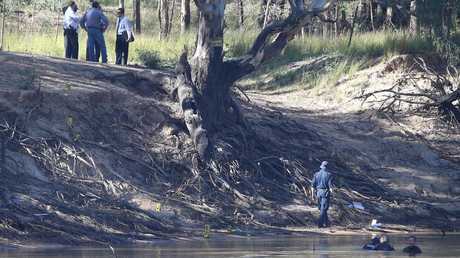 The boy said his mother "had her arm on my throat" and that he could feel the sand at the bottom of the river. "Then I started hitting her so she would let go of me but she didn't," he said. "I was starting to suffocate as she was hopping on me. "(Eventually she released me) and then she grabbed my brother and did the same thing (to him). He couldn't breathe also and then he died." The court heard the nine-year-old boy told police that when he made it to the bank he looked back at the river and saw his mother "shaking my brother" in the water. It was the last time he saw him alive. 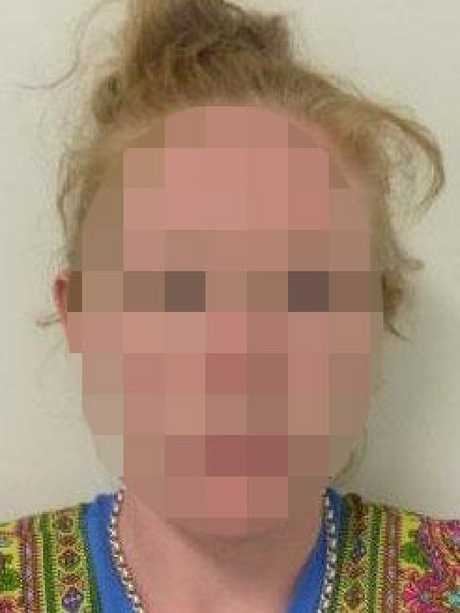 Justice Richard Button noted the woman had been crying, "bizarrely plaiting her hair" and "rocking back and forth" throughout the proceedings and so excused her from the court while police interview videos were played. During her interview, the accused told detectives the day after the tragedy, that she had "blacked out and drowned her babies" because one of them "turned evil". 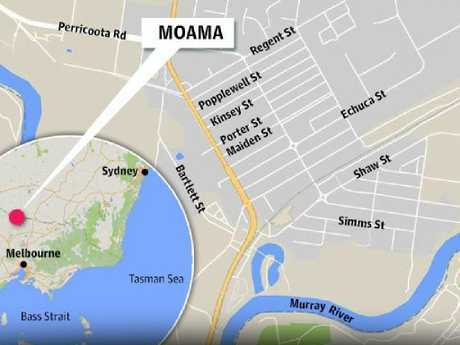 The woman told police she first turned to her eldest son and "held his head under" the water. "It was horrible," she said in the video. "He kept staying alive for a little bit. I had to sit on top of him. I couldn't hold him down because he was so strong." The woman told detectives that at one stage she heard one of her sons scream: "Just stop, Mummy." "I didn't want to keep doing it," the accused said during her police interview. "It was so f***in' wrong." She then turned her sights to the younger boy, the court heard. In the video, she wailed as she told detectives she had one hand on her five-year-old son's head and the other on his chest, while "holding him down". She said she could feel the little boy struggling, but didn't relinquish her hold on him until he stopped, the court heard. "I pushed him and let him float away so people would find him," she said. 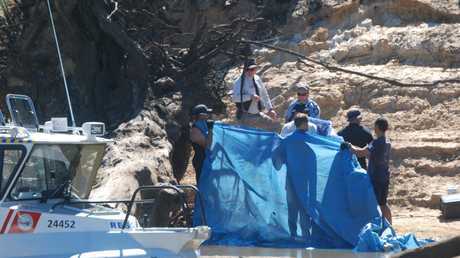 The child's lifeless body was found in the river two days later following an extensive search by authorities. 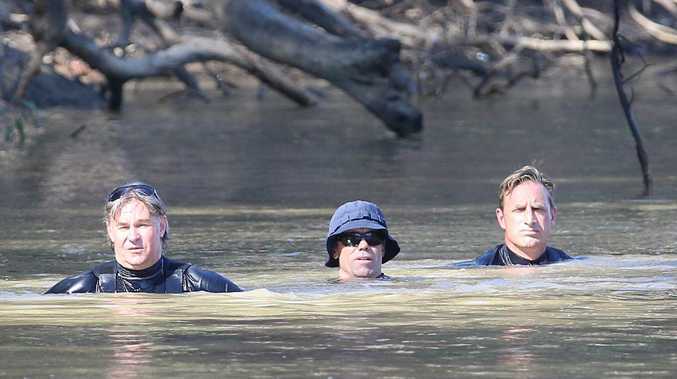 In a statement tendered to court and viewed by news.com.au, the woman said she "caused the death of (her) child by drowning him" and that it "was (her) intention to kill" both of the boys when she took them into the river. 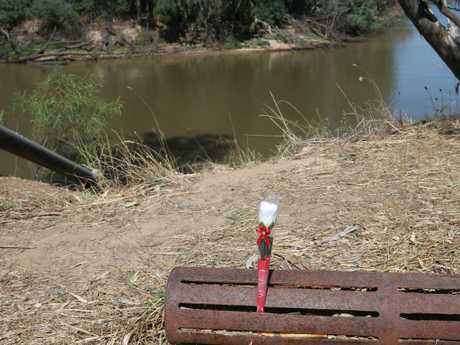 'Buddy' attacked the nine year old boy and his mother as she tried to drown her two sons, the court heard. 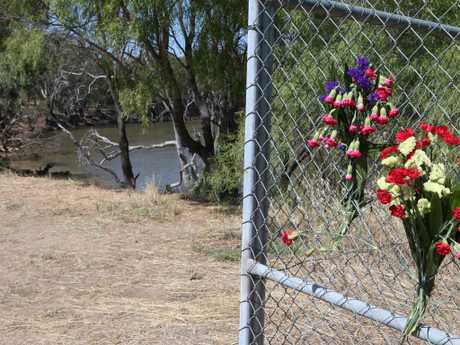 In his opening address, Crown Prosecutor Max Pincott said on the morning of the killing, the woman appeared angry and had called her mother from the Victorian town of Goornong and told her: "You won't see us anymore." A witness who heard screams ran to the river and saw the older boy being viciously attacked by a dog. He carried him away and the boy said words to the effect of: "I think I'm the only survivor," the rescuer said in a statement. Another witness said in a statement that the surviving boy was "screaming and naked (and) covered in blood". 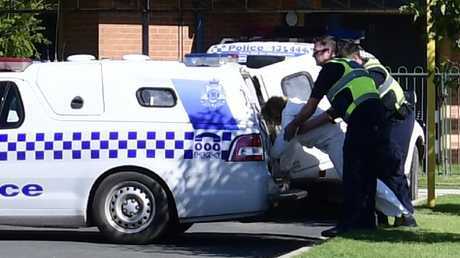 "I started yelling out to my mum," the boy said during his police interview played in court. "I said 'someone please help'. 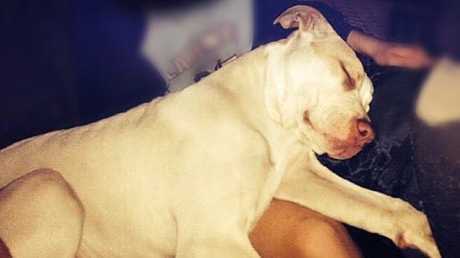 "I tried to put my hands on the dog's face so he wouldn't do it but he was too strong." Mr Pincott said the witness observed that the woman's pants were ripped below her knee and so asked if she was all right. 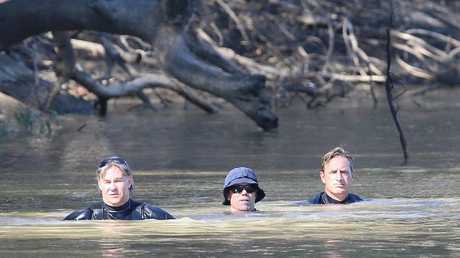 "She answered: 'I drowned my babies,'" Mr Pincott said. "When asked what she meant, she replied: 'I had to drown my babies.'" In a statement, Mr Falzon said the accused told him: "I just want a bullet, I should be dead." "He observed on the way to the police station the accused was crying and saying, 'My babies my babies,'" Mr Pincott told the judge. The court heard that the woman told police: "I killed my kids … I didn't want to do it. I am such a motherf***er." 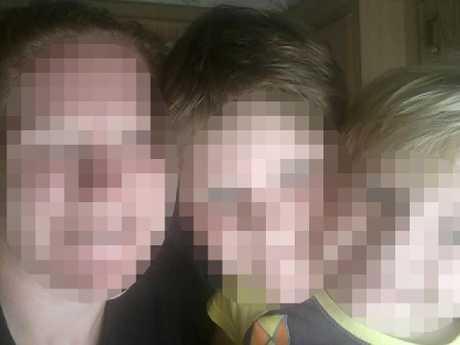 Mr Pincott said that when police asked where her kids were, she became upset and screamed: "I f***ing drowned them." 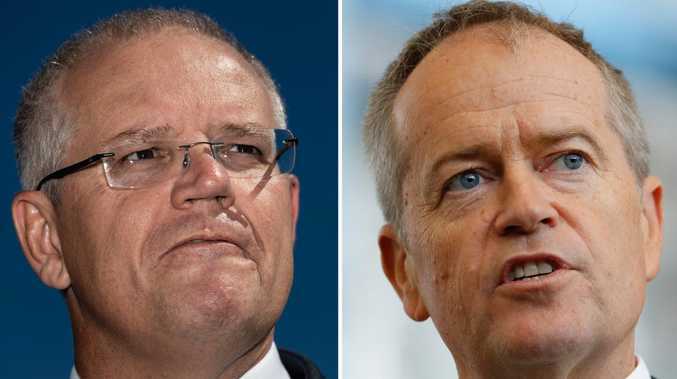 The court heard she then referenced a former partner she hadn't had contact with since 2016. "She was keeping them safe, your honour," he said. The court heard she was delusional and believed she was "going to be raped, tortured … and had to prevent her children from witnessing that … or they would be killed themselves". The judge said it was "thoroughly bizarre to think these acts were the solution to the problem". "One would know that being drowned is surely not (a pleasant death)," Mr Button said. "It's not as if the boys were given sleeping pills and simply drifted off to sleep. "Being drowned would be a terrible way to die." The court heard that the woman had a history of drug abuse but that toxicology reports showed she didn't have any traces of illicit substances in her system at the time of her arrest. Dr Adams said his patient had told him she used the drug ice once - to celebrate her birthday - in the four weeks between her release from jail and drowning her children. She had also not been taking her prescribed antipsychotic medication since being released from prison in February, the judge was told. In the days leading up to the alleged murder and attempted murder, the woman was seen screaming to herself: "You stupid sl*t", "stupid b**ch" and "I'm going to kill him". She was also caught shoplifting on two occasions during that time. The woman's mother, who was caring for the boys, had taken an apprehended violence order (AVO) out on her daughter which banned her from coming near within 24 hours of consuming illicit drugs or alcohol. The court heard that the accused had threatened "to drive with her and the boys into a tree" during a conversation with her mother in 2015. The incident was reported to police at the time. Dr Adams said she had been "tormented" by voices in her head since the age of seven. In a report, he noted she had been self-harming since she was nine, first overdosed at age 13 and attempted suicide dozens of times. He said years of chronic substance abuse had worsened her condition and that she had most recently tried to starve herself behind bars.